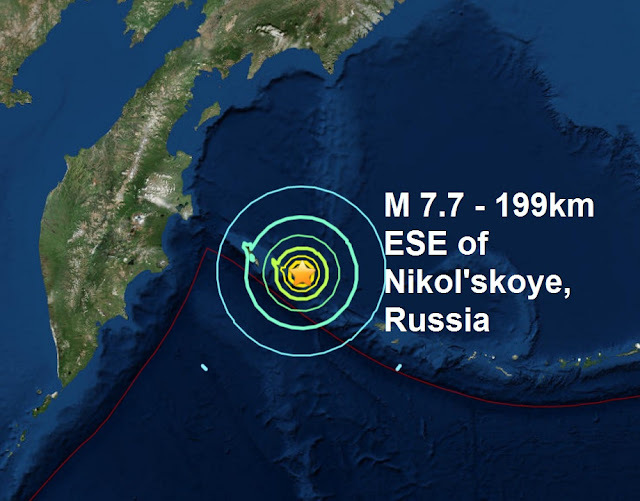 As Earth moves through the wake of a large CME (coronal mass ejection) that hit our planet's magnetic field yesterday and a massive Coronal hole on the Sun's surface turning to face Earth, it comes as no surprise to me that a four hour period last night produced the busiest burst of major quake activity this year. 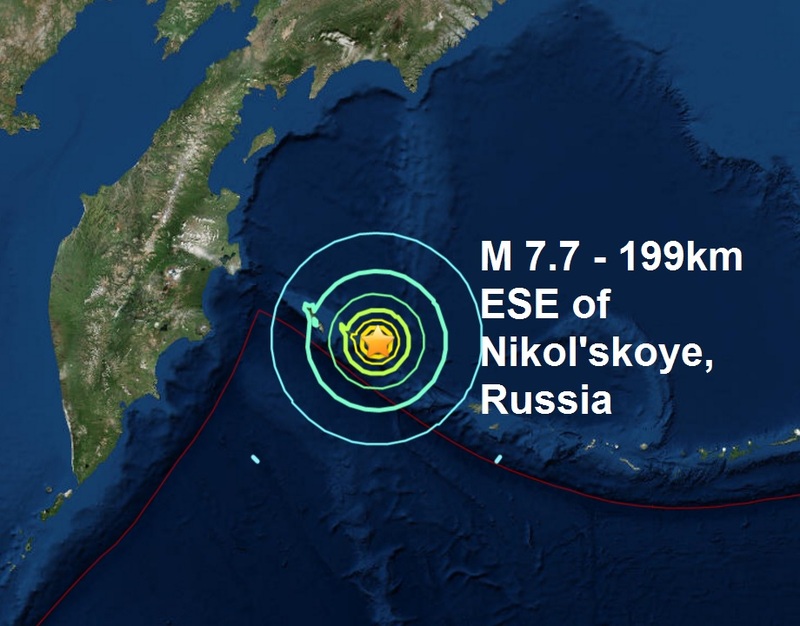 A M6.4 - near the coast of southern Peru, a M7.7 - Komandorskiye Ostrova, Russia region, the second largest quake of the year and a mag 6.2 in the same area doubled the July total of major quakes in a blink of an eye. 2017 is still the lowest total in decades so far however, as the year total moves on to a miserly 53.